GSTC-Recognized Standards are sustainable tourism standards that adhere to and are equivalent to the GSTC Criteria. This means that the GSTC Criteria are included within the set of standards owned by a Certification Body or a local, national, or specialized tourism organization. The Actively Green standard is the core component used in the Actively Green Sustainable Business Training and Certification Program. It was launched as an innovative legacy initiative of the 2015 FIS Alpine World Ski Championships in Vail and Beaver Creek, Colorado, USA through a partnership with Sustainable Travel International and Town of Vail. Another component of the Program is the Mountain IDEAL destination standard for mountain resort communities. 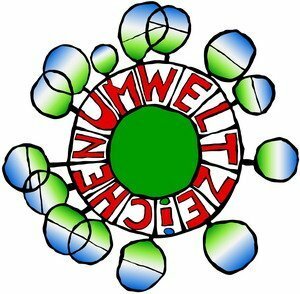 The Austrian Ecolabel for Tourism and Leisure-time Industry was the first national eco-label for tourism worldwide. It was implemented in 1996 by the Austrian Ministry for Sustainability and Tourism. Almost all types of tourism businesses can be awarded for their commitment in the fields of environmentally friendly management and social responsibility through independent third-party audits on site. The Ecolabel for tourist accommodation covers businesses of any size fulfilling an advanced set of criteria developed and regularly updated in a comprehensive stakeholder process involving tourism as well as environmental experts. Biosphere Tourism is a standard by the Responsible Tourism Institute (RTI), an international organization that promotes, for more than 20 years, responsible tourism at an international level. For this, it has a Memorandum of Understanding with UNESCO, is a member of the UNWTO and promotes sustainable tourism on all fronts. 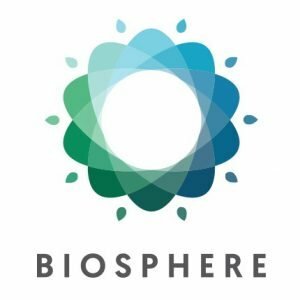 Through the Biosphere brand, the RTI promotes Sustainable Development by measuring the contribution of tourism to the 17 Sustainable Development Goals (SDG) of the United Nations and the indications of the Paris Agreement against Climate Change. 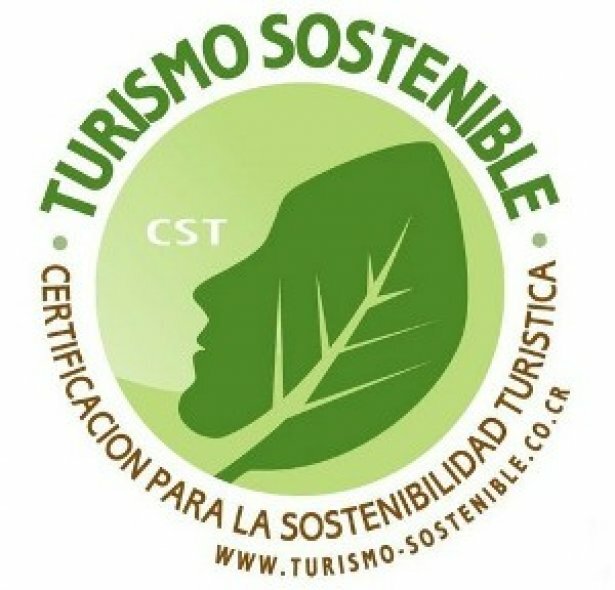 The Certification for Sustainable Tourism Program – CST – is a product of the Costa Rican Tourism Board (ICT). The CST was designed to differentiate businesses of the tourism sector, based on the degree to which they comply with a sustainable model of natural, cultural and social resource management.CST is regulated by the Costa Rican National Accreditation Commission and consists of a scale of 5 “levels” of sustainable tourism achievement. The Chilean national system for distinction of sustainable tourism recognize the efforts of tourist accommodation that have progressed in any field of sustainability, differentiating its members over their competitors while ensuring visitors each organization’s commitment to sustainability. 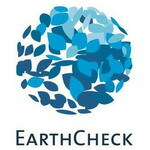 EarthCheck Evaluate assesses an operator’s economic, social and environmental impact. The program is the product of 15 years of market research and experience through EarthCheck’s flagship program, EarthCheck Certified, which has helped clients across 70 countries realize more than $500 million in savings. EarthCheck Evaluate uses internationally recognized criteria to report on management performance covering a wide range of areas including environment, risk and quality management. The Eco-certification is the national scheme for ensuring the environmental, socioeconomic, and cultural sustainability of hotels and farmhouses on the Maltese Islands. The scheme was launched by the Malta Tourism Authority in 2002 and today represents over 16% of hotel accommodation covering 5-star, 4-star and 3-star categories. The criteria were last revised in June 2012 to be in line with the GSTC criteria making the shift from an environmental scheme to a sustainability scheme. Third party audits are carried out every two years to ensure that the hotels are meeting the requirements of the scheme. Ecotourism Australia was formed in 1991 as an incorporated non-profit organisation, and is the peak national body for the ecotourism industry. The organisation has a diverse membership that includes key industry sectors and including ecotourism accommodation, tour and attraction operators; tourism planners; protected area managers, and other government agencies; academics and students; tourism, environmental, interpretation and training consultants; local and regional tourism associations and travellers. Ecotourism Ireland is an organisation set up to stimulate the development of ecotourism countrywide. To achieve these ends we have facilitated the development of an ecotourism quality label that we hope will stimulate the development of new ecotourism experiences in Ireland and at the same time defend the ethical values of existing ecotourism operators. In addition the label has been designed to guide visitors travel choices and help them to choose promoters of ecotourism products and the experiences they have on offer. The Ecotourism Kenya Eco-rating Certification Scheme is designed to certify as sustainable accommodations of various types throughout Kenya. This is part of Ecotourism Kenya’s efforts to make nature- and wildlife-based tourism more and more sustainable by applying localized standards that adhere to the universal principles included within the GSTC Criteria. The European Ecotourism Knowledge Network (ECOLNET) is a 3-year project (2010-2013) co-financed by the European Commission, Lifelong Learning Programme, Transversal Programmes, Key Activity 3 – ICT Networks. ECOLNET has a dual aim: a) to create an Ecotourism network to bring together a variety of stakeholders and b) to develop innovative evaluation tools and learning products for sharing knowledge among the network and facilitating quality certification through the European Ecotourism Labelling Standard (EETLS). Green Key is a programme for accommodations and tourism facilities. It is managed by the charity, Foundation for Environmental Education (FEE). FEE also runs the Blue Flag programme for beaches, marinas and eco-tourism boats. Green Key criteria fall into two major groups: environmental management (energy, water, waste, cleaning, etc.) and sustainability education of staff, guests and suppliers. Compliance with imperative and an increasing number of guideline criteria are required. Rigorous onsite audits are part of the evaluation process. Green Key was founded in 1994. Today it is a leading label with 2,350+ awarded establishments in 50+ countries. FEE has national operators in 40+ countries of managing the Programme nationally. Green Key represents the positive and successful collaboration between the civil society and the hospitality/tourism sector in joint efforts towards implementing sound sustainability management. 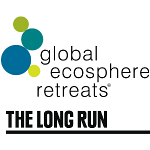 The Long Run connects and supports a global community of like-minded organisations and nature-based tourism businesses leading the sustainability movement. It is focussed on businesses that own or significantly support and influence landscapes and marine-scapes of conservation value with a mission to achieve sustainability through the holistic balance of conservation, community, culture and commerce (the 4Cs), guided by the Global Ecosphere Retreats® (GER) standard. The GREAT Green Deal Sustainable Certification Program (GGD) represents a way of doing business while taking care of all stakeholders involved in the tourism operations. The GGD standard has more than 400 indicators that provide hotel and tour operators a map that takes executives and entrepreneurs on a path to be more successful in their business while being responsible with employees and their families, the community, the cultural heritage and traditions including the environment. Green Globe provides certification, training & education, and marketing services in over 90 countries worldwide. 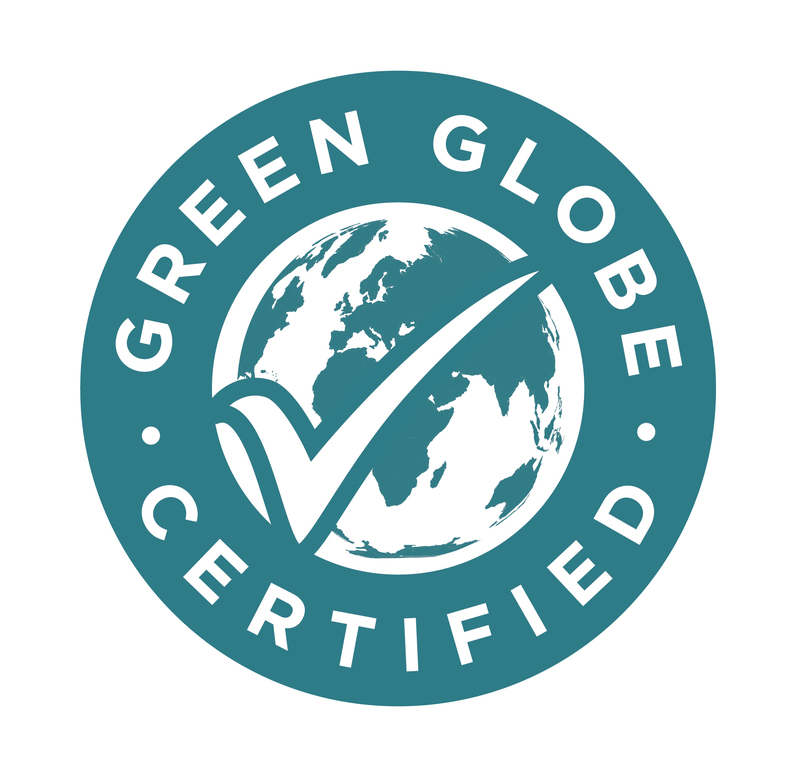 Based in Los Angeles, California and with representations in Latin & South America, Middle East, the Caribbean, Europe and Asia, Green Globe provides certification for the sustainable operations and management of travel and tourism companies and their related supplier businesses. Separate standards are offered for Hotels/Resorts, Attractions, Organizations, Cruise Ships, Businesses (outside tourism) and Suppliers for the tourism industry. Green Globe also maintains a global network of independent auditors who provide third party inspection and validation. The Green Globe Certification Standard has been developed and improved over the past 25 years and is internationally recognized. Green Globe offers a platform for auditing and consulting companies to expand their business and to be part of an internal company. 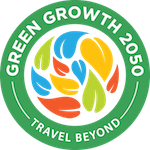 Green Growth 2050 has been developed to meet the needs of tourism and travel businesses seeking today’s solutions to the issues driving social, cultural and environmental change. The Green Growth 2050 Global Standard and Sustainability Reporting Framework is an international online solution designed to allow travel and tourism organisations to assess the overall sustainability and CSR performance of their existing individual properties and portfolios. Green Key Global is a leading international environmental certification body offering a suite of sustainability programs designed specifically for the lodging industry. For more than 20 years its flagship program, the Green Key Eco-Rating Program, has been evaluating, auditing and certifying lodging properties based on their commitment to sustainable operations. In support of this, Green Key Global also works diligently to educate members on the value these initiatives have on an environmental, social, cultural and economic level. An affordable, comprehensive assessment for independent and branded properties of all sizes, the Green Key Program strives to inspire and complement ongoing CSR activities of its members. The Green Star Hotel Certificate for tourist’s accommodation businesses is awarded to tourist accommodations in Egypt for their commitment in the field of environmentally friendly management and social responsibility. The Green Star Hotel Certification Programme is a national certification and capacity building programme under the patronage of the Egyptian Ministry of Tourism. It has been developed as a public private project between the key stakeholders from the German and Egyptian tourism market , the Egyptian tourism authorities and the German International Cooperation to enhance the quality and environmental awareness and raise the competiveness and environmental performance of the Egyptian tourist accommodation industry. By starting with the key sector in the Egyptian tourism industry, the hotel sector, a first step is taken to move the whole tourism sector towards more sustainability. On the long run, other sectors such as cruise ships and diving should follow. 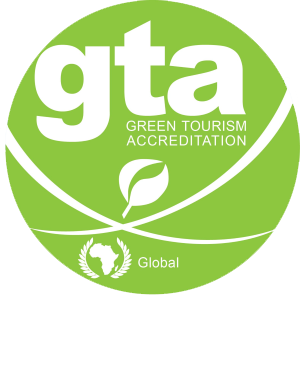 Green Tourism Active (GTA) is a not for profit, sustainability assessment, certification and awards management company. The programs offer a forward thinking and leading global standard with in-depth focus on environmental, socio-economic, cultural and conservation performance and compliance. GTA’s objectives are to change behavior through informed consumer choice, education, cost reductions, social & conservation benefit programs. The GSTC Criteria serve as the basis for determining whether other standards are “GSTC Recognized”. That means that by definition the GSTC Criteria can be considered “Recognized.” It also means that any Certification Body that uses the GSTC Criteria for their certification program is using a GSTC Recognized standard. Please note that GSTC Accredited means that a Certification Body uses the GSTC Criteria or another GSTC-Recognized set of standards to certify, AND has undergone a rigorous verification process by the GSTC to verify that their certification program is neutral and competent. Hostelling International, and its member associations commit to intensifying their efforts to achieve a worldwide network of sustainable organisations and hostels. 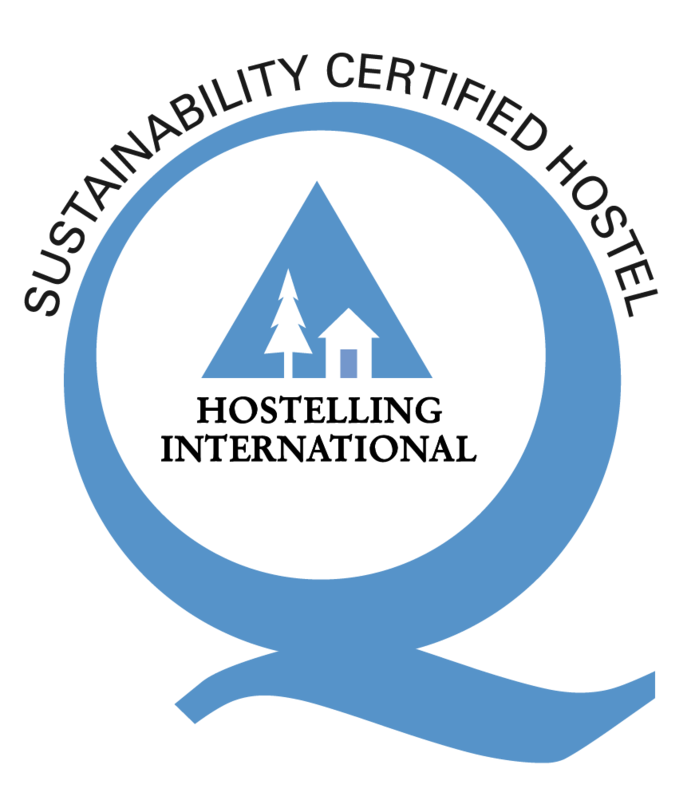 In line with its internationally adopted sustainability charter, HI has developed HI-Q&S (Hostelling International Quality & Sustainability), a label that stands for a commitment to provide an experience of high quality, with a positive effect on local economy, communities and the environment. The accreditation is based on assessment criteria aiming to: demonstrate effective sustainable management; maximise social and economic benefits to the local community, cultural heritage and environment and minimise negative impacts; conserve biodiversity, ecosystems and landscapes. The HI-Q&S standards engage hostellers in a viable, equitable and bearable way of travelling that supports HI’s values of authenticity, inclusivity, learning and understanding and sustainability. Hoteles más Verdes (“Greener Hotels”) is the Sustainability Certification Program of the Asociación de Hoteles de Turismo de Argentina (AHT) that promotes the adoption of sustainable tourism good practices in the hospitality industry since 2010.The program certifies with the Eco-label “Hoteles más Verdes” those hotel companies that prove by auditing good practices of ethical, environmental and socially responsible management with its stakeholders and the host community of the destinations of Argentina. Japan Ecolodge Association (ECOLA) endeavors to disseminate the ecolodge concepts by offering the GSTC recognized JEnvironmentally Sustainable Accommodations International Standard (ESAIS) and the certification program. We firmly believe that the locally operated low-impact nature-based lodges with educational and interpretative programs can lead to help conservation and improve sustainability of surrounding nature while revitalizing the local economy. The Rainforest Alliance works with hotels, restaurants and other tourism businesses to help them improve their environmental, social and economic practices. Through training and technical assistance, we teach them how to operate sustainably and verify their progress toward this goal. Those enterprises that meet our requirements are eligible to receive promotional benefits, including the use of the Rainforest Alliance Verified™ mark. The India & South Asian based nature tourism focused organisation, TOFTigers has its PUG Eco- rating certification recognised as a part of its attempts to help use the booming market in nature tourism across India and South Asia as a tool for conservation of forest and wildlife, including tigers. Alongside over 220 of the world’s best known tour operators, agents and lodge members, its promotes a purchasing supply chain campaign to promote better tourism, better training and better monitoring and advises Governments, States, parks, providers and visitors on best practice in nature tourism, to ensure a fair and equitable future for nature, visitors and bordering park communities. TourCert is a non-profit organization for certification in tourism. 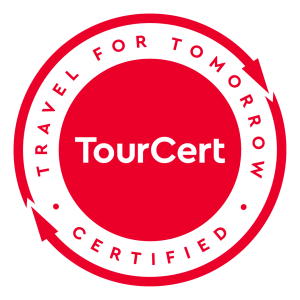 Founded in 2009, TourCert provides various indicators, criteria and tools in order to make Corporate Social Responsibility (CSR) of tour operators measurable. TourCert brings together experts from the tourism industry, universities, environment and development organizations and politics. Enterprises committed to CSR take responsibility for the impact of their business activities on society by fulfilling social and ecological requirements beyond legal provisions in their core business. The Travelife for Hotels & Accommodations international certification scheme works with its members to increase their sustainability. The Travelife criteria cover environmental, social and economic business impacts, and a hotel’s success in meeting these criteria is assessed by independent auditors. Hotels meeting the Travelife standard can promote their business with the Travelife ‘Gold’ and ‘Award of Excellence’ certification marks, helping consumers easily identify more sustainable accommodation. Founded in 2007, the Travelife Sustainability System promotes sustainable practices within the travel and tourism industry. Travelife works in partnership with its tour operator members who use the sustainability system as a tool to improve their own sustainability as well as that of their supply chain. Travelife is providing training, implementation tools and certification for Tour Operators & Travel Agents.